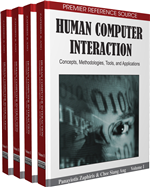 In this chapter the evaluation of human computer interaction (HCI) with mobile technologies is considered. The ISO 9241 notion of ‘context of use’ helps to define evaluation in terms of the ‘fitness-for-purpose’ of a given device to perform given tasks by given users in given environments. It is suggested that conventional notions of usability can be useful for considering some aspects of the design of displays and interaction devices, but that additional approaches are needed to fully understand the use of mobile technologies. These additional approaches involve dual-task studies in which the device is used whilst performing some other activity, and subjective evaluation on the impact of the technology on the person.